I've had a number of days now to absorb the news that Marysol Foucault plans to close Odile﻿ at the end of August (only 15 months young) and focus her energy on her first restaurant, Edgar, which she opened in October 2010﻿. The mister and I dropped into Odile a few weeks ago. Without a reservation, they gave us spots on the high stools where we had a full view of the action in the kitchen. I had been craving something rhubarb. With 18 pounds nestled in my own freezer, I could have easily solved this problem myself. But my rhubarb-y senses told me that Marysol was likely the doctor to write the prescription I needed. It seemed foolish to self-medicate. As predicted, the dessert was spot on. 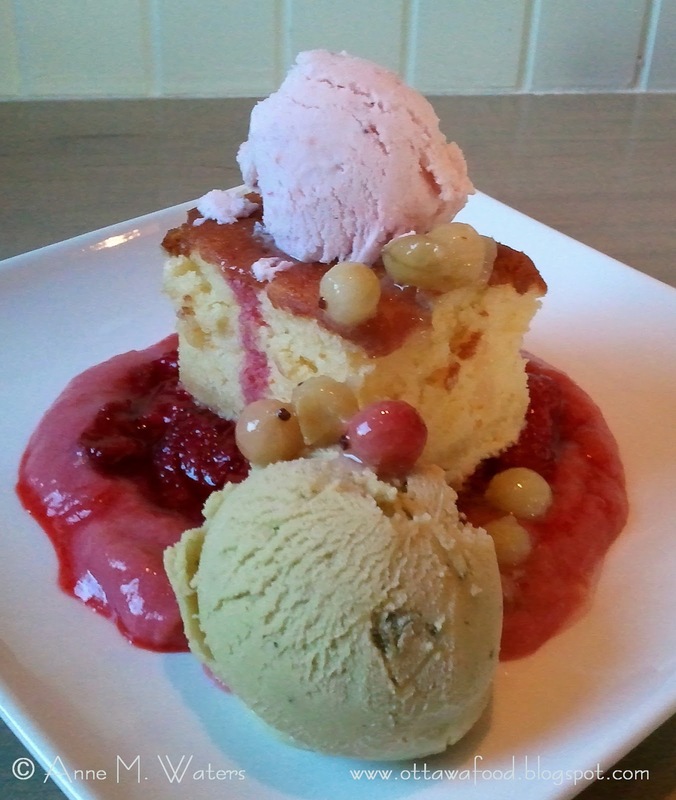 A hefty chunk of orange pound cake sitting in macerated strawberries and rhubarb compote. It was adorned with cool, creamy balls of avocado lime sorbet and strawberry ginger ice cream. Playfully arranged on top were sweet little gooseberries. The dessert was a shining example of why her food stands out in this town. It is creative. The dishes have depth of flavour and character. They are loosely precise and artistically presented. Not necessarily formal. Definitely fun. 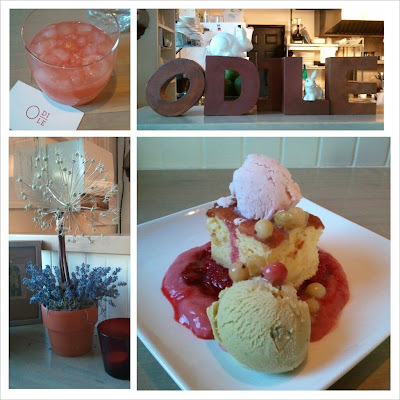 Odile will have regular dinner service until mid-month. Then starting Wednesday, August 21, for the last 8 dinners closing out Odile, Marysol will be amping up her 'playful'. Expect the unusual. Bring your adventurous self and come on out. Without a reservation, your wait in line should be just as enjoyable as your time at your table. Reminisce with regulars or indoctrinate the 'I-always-wanted-to-come-here-but-never-quite-made-it' team. I'll miss the linger-shminger that her sit-down place allows for in a dining-out date-night experience. Though I, like many, can draw solace knowing her kitchen creativity can still be had at Edgar. Most notable, her brunches. A different venue. A different time of the day. A different vibe. But thankfully still Marysol, through and though. Do You Call It Tatziki or Tzatziki?